January | 2013 | Adventures In Styleland! The art of Gift Wrapping!! Sure, you can cover a box with some holiday paper, stick on a bow, maybe some ribbon and call it a day. Or with just a little extra time and ingenuity you can create something that has recipients feeling special before the box is even open. 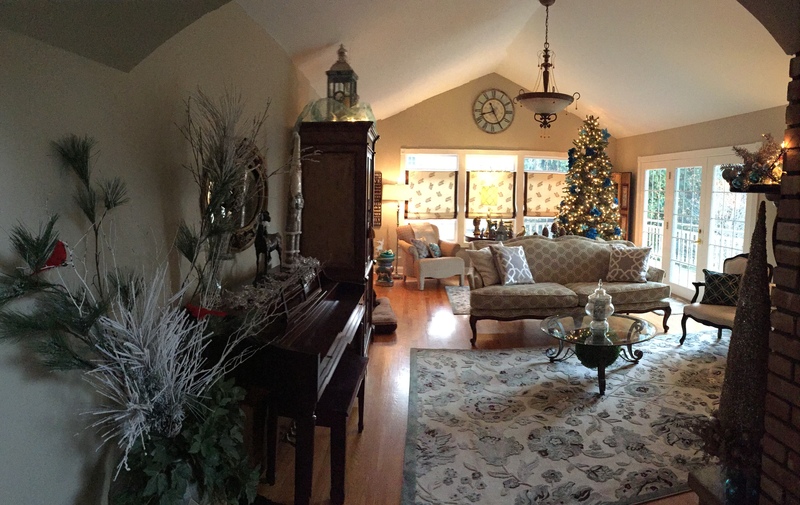 We asked interior designer Denise Maurer, of Maurer Interiors in Troy, aided by interior designer Michele Conti, of Designs by Michele in Niskayuna, along with a secret elf who wants to remain nameless, for their best wrapping tips. Here are just a few of their wonderful ideas. Bright Idea! Save wallpaper scraps and you’ve always got gift wrap on hand. Just about anything can take on a second life as a gift decoration. Bright Idea! Use a mini picture-frame instead of a card. Who says red and green are the only holiday gift wrapping colors? Among the goodies Maurer and Conti used for these natural-looking wraps are wallpaper, brown paper bags, retired drapery tassels, older Christmas tree ornaments and, of course, pine cones. 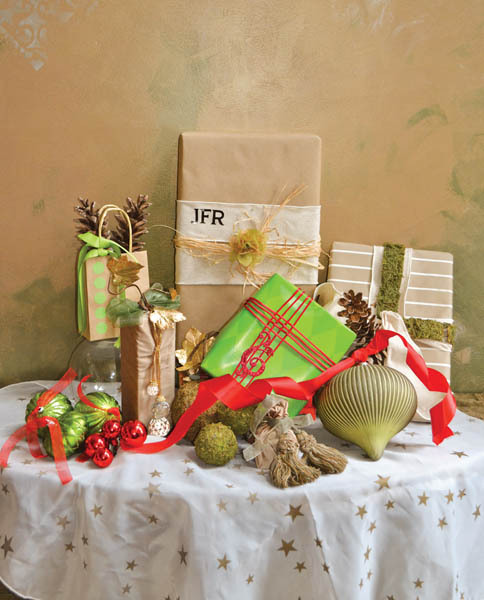 Who says red and green are the only holiday gift wrapping colors? Both Maurer and Conti try to color-coordinate their wrapping. Here, peacock feathers and bits of former ornaments help make these packages pop. Great ideas for gift wrapping, holiday or any occasion!! Enjoy!! This month I was published in a local magazine that comes out once a month, it contains articles on home decorating and ideas for the DIY’er. I was happy to see my clients home on the cover as well as a generous spread in the magazine, I’d like to share some of the photos, click on Life @ Home for the link. Enjoy!!! 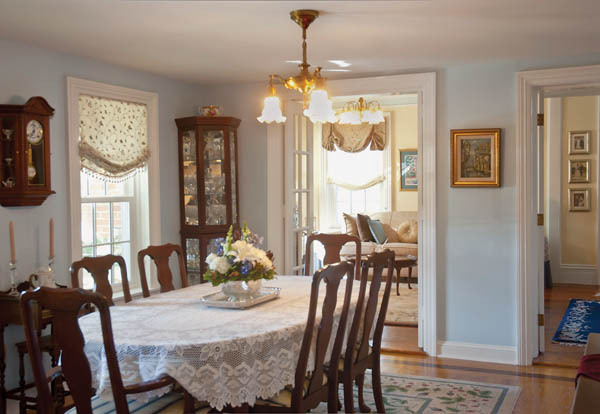 This is a great home, I was honored to work with this couple and be part of their design team, here are some interior pictures!! 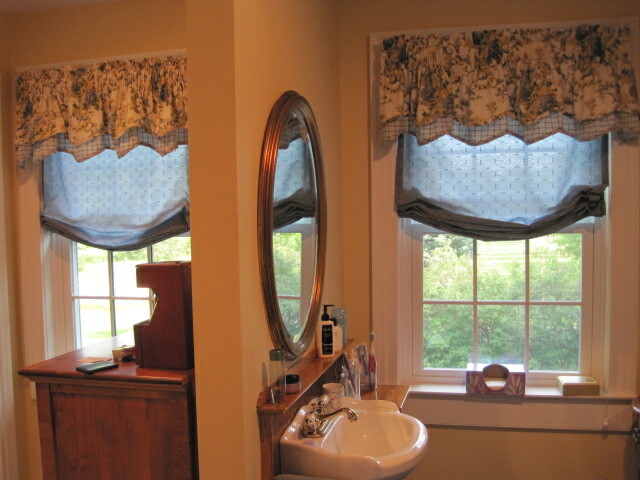 Relaxed Roman Shades were done with Dura Lee Fabric, Faux Silks Pattern: 32191, Trim: by DKEI Tassle Ball Fringe G0515oe. Shade by custom work room. Contact Designs by Michele @ 518 852-4185 For details. My Clients the Wokowsky’s, great couple with a passion for life, love and family. 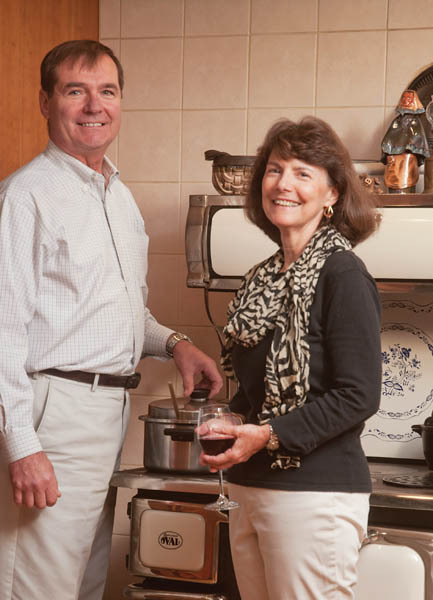 Rudy and Nancy said they’re home was an on going project for 20 years! Rudy uncovered this beam when they opened the wall in the front entry, to the living room. 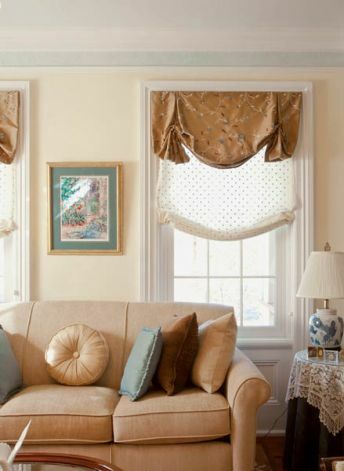 The London Shades in Seabrook Fabric: Disturbance color Chocolate, Relaxed Roman in Dura Lee Casements Pattern: 50951 Color: Ivory Window Treatments by Designs By Michele 518 852-4185. 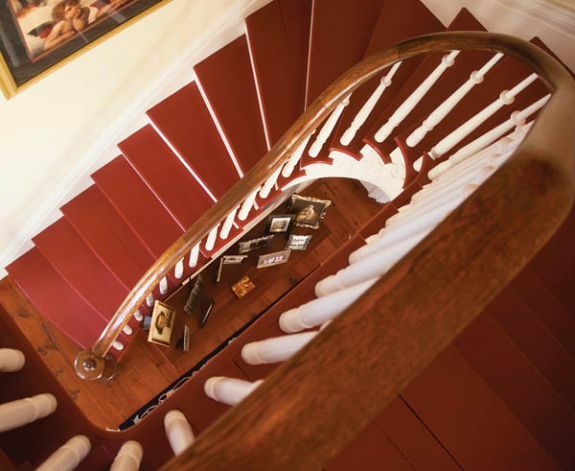 Front Staircase looking down to entry. 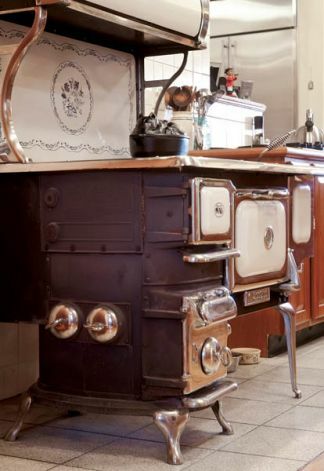 This is truly the stove that Nancy uses both to heat the home and cook! 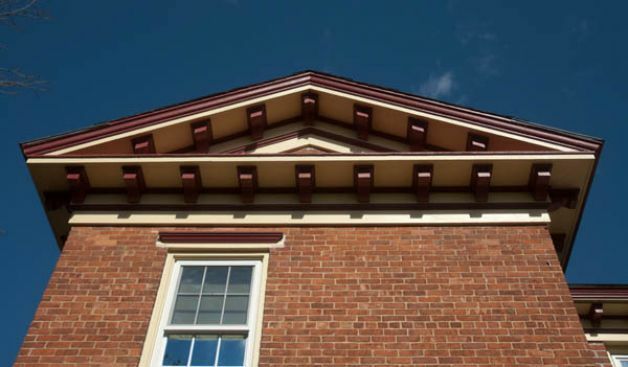 Some of the soffits that Rudy restored when the home was first purchased. 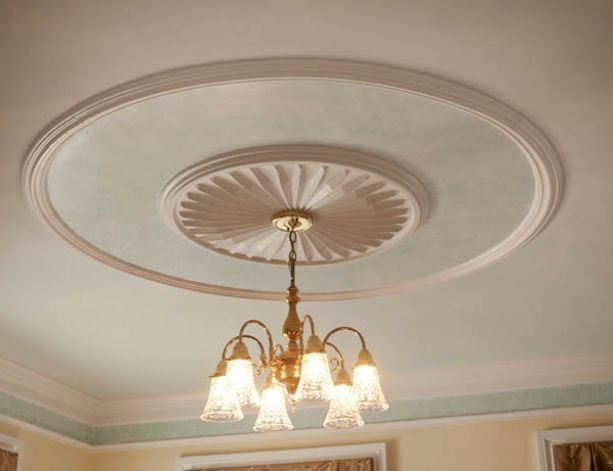 Some of the intricate painting by Certa Pro Painters. Hope you enjoyed the photos, take a moment to read the article about this beautiful country home!! Stay Tuned……. So here I am New Years Day ! Reflecting on all I have accomplished during the holidays, our home was crazy busy!!!! Working, caring for our children, baking, shopping, taking care of Mother Theresa, Decorating, Thanksgiving, Christmas and finally New Year!!!!!!! Yay, whew……we made it.. and in the midst of all of the holiday rush and the busyness I had to admit to myself that I was addicted to Creating and Decorating. Yes My Name is Michele and I’m a Designaholic!!! This realization came when I somehow volunteered my time to paint eighteen panels of scenery for the Sand Lake Center for the Arts Theater, “The Secret Garden” play. I must say that although I was feeling a bit pressed for time when the panels that were suppose to arrive the beginning of November, came December 2nd but, we quickly settled into a routine (far from a schedule) my two partners in this project Betsy, Rae and I. All at once we were just rolling them out! I must say most of the time (although chaotic in my household,) it was absolutely wonderful, and it was very fulfilling . do each year, taking the better part of a day, would give them a such a sense pride and fulfillment because of the effort it took. Try getting that feeling from the cookies purchased at the grocery store. How many of us can say we feel fulfilled by running errands, answering emails or sitting alone searching the internet for something to purchase for a christmas gift ? Sometimes I wonder, this lovely life, with a husband, and two teenage girls and a great family how could I ever forget whats important????? I have a feeling this is going to be Delicious!! So through it all, I seemed to have maintained some sort of clarity. I know, I know, although I want to sometimes use duck tape on my children, disown my husband, pretend I have lost Mother Theresa at the Feast of San Gennaro and escape to Margaritaville with a large glass, I truly love my life, my work and my wonderful family. Hope you all enjoyed the holidays as much as I did!!!! As Always, stay tuned for more adventures!!! !